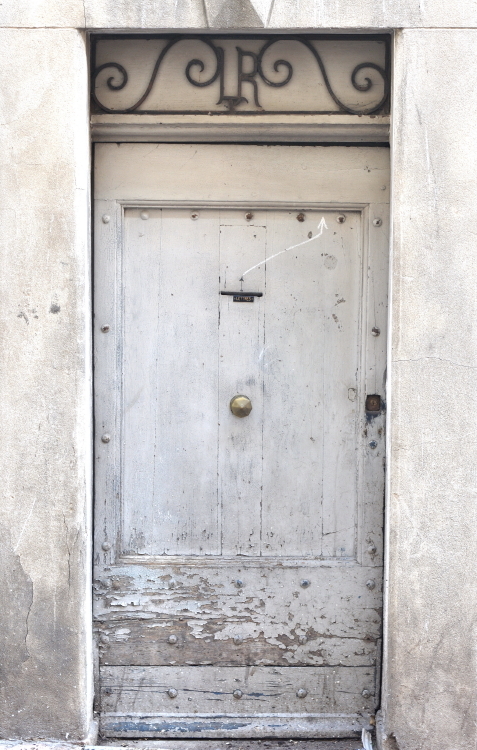 I haven’t participated in a WordPress photo challenge for a while, so the ‘door’ challenge I stumbled upon on the travel blog of Miscellaneous Musings of a Middle Aged Mind was a great way to tempt me out of my cacoon!! 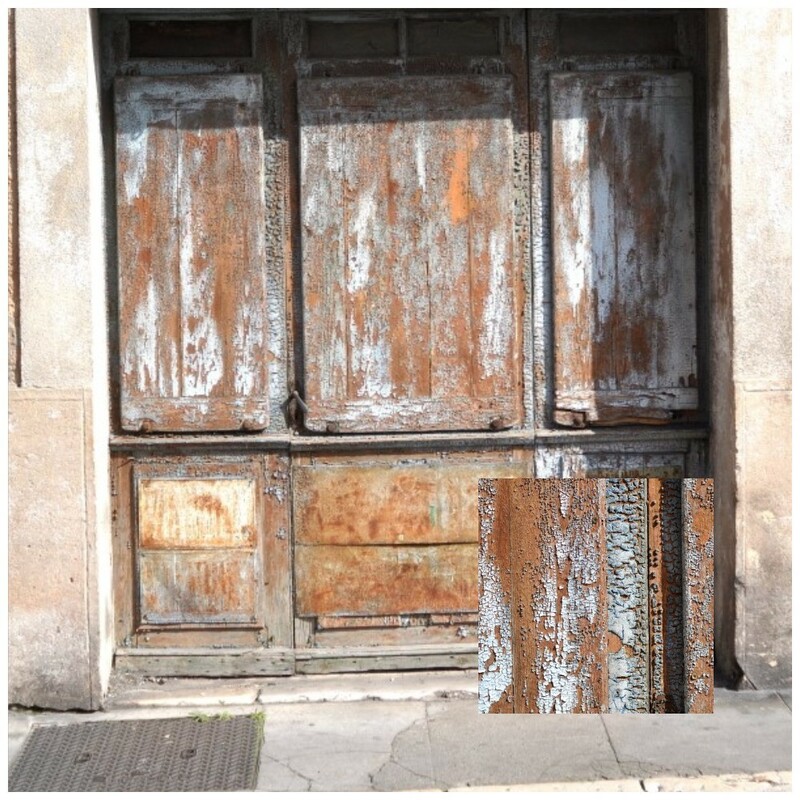 I love the textures in old doors, and also the historical stories behind them (if you will excuse the pun). I also love the way modern technologies – electricity wiring, downpipes, etc – wind and weaves respectfully around the doors. 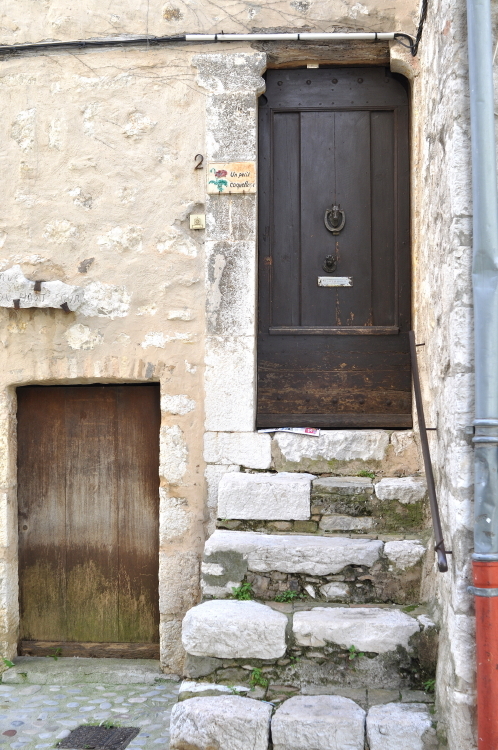 So I am sharing a few doors I captured during some travelling through France. The first two are from Vallauris, where I did an art residency, and the other if from Vence which I visited whilst in France during the residency. My mid week post this week is in response to Jennifer Nichole Wells‘ photo challenge. Participants are asked to post a photo or photos responding to a one word theme – currently the topic is weather, and this week the word is ‘wet’. Interpretation of this one word can be as varied as your imagination desires. 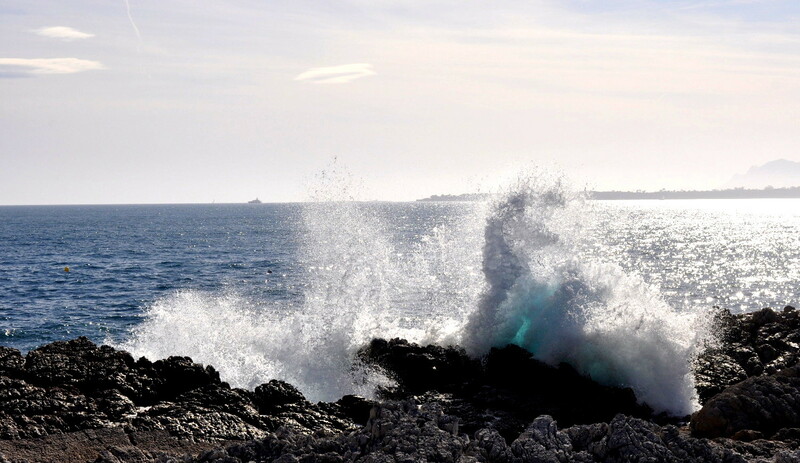 As for me I am being pretty literal (again) – for me wet is how I feel after being doused in sea spray!! This pic was taken back in March 2010 at Eden Rock in France. Antibes: Third Time Lucky – ummm NO! So, what happened you ask curiously? Well, I was on an artist residency in Vallauris, France in 2010 for six weeks with my partner and son, and it was fantastic! As part of the research for the residency, but also ‘fun’, we did alot of travelling around to towns surrounding the Vallauris area., and one of these towns was Antibies. Antibes is a town on the coast of Italy, about an hours (maybe less) bus ride from Vallauris. Picasso lived there (as well as in Vallauris) for quite some time in the Chateau Grimaldi, a castle owned by the Grimaldi family for many centuries, or at least I think it was owned – you will have to Google that for yourself! (see my reluctance below). 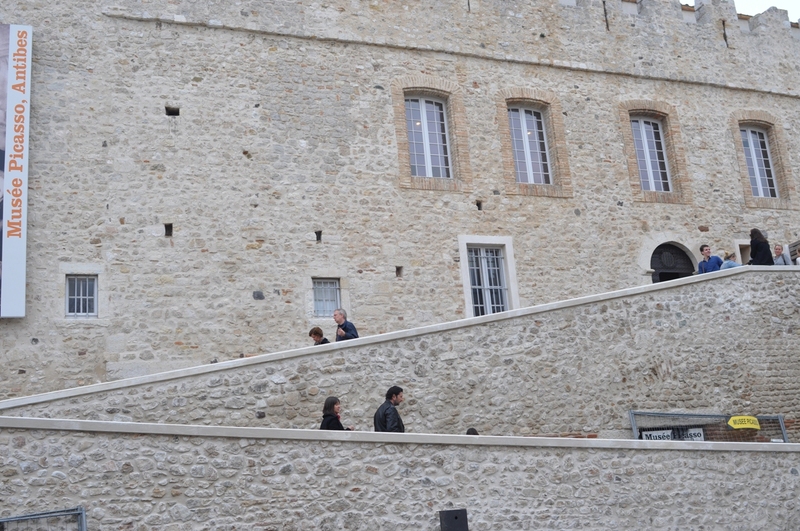 The building is now a Picasso museum, and was perhaps the one thing that went right while visiting Antibes. 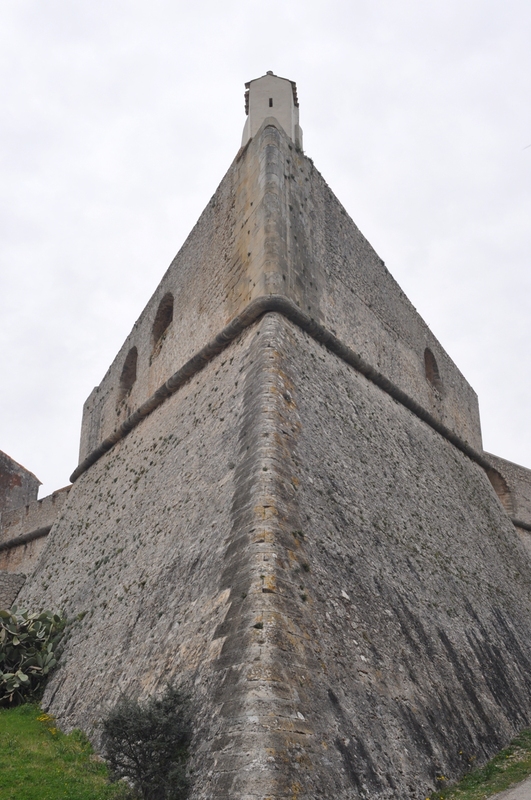 The first time I wanted to see an 11th century church (I can’t remember , you google it) which housed a unique wooden cross which had been hidden by local priests during World War Two from the Nazis – and had survived (I guess thats a ‘good’ Antibes thing). I wanted to see this cross, not because I am religious, but because I love art and history and art history… but no. The church was closed for cleaning! 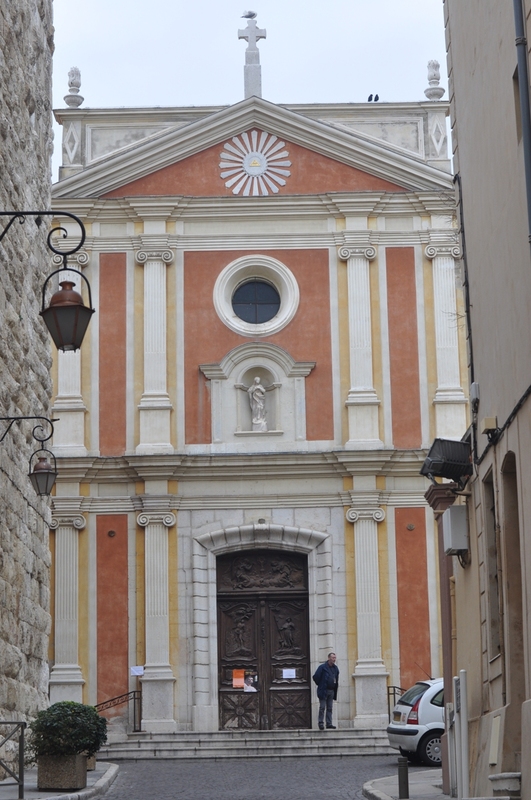 11th Century Church Antibes: the signs on the door explain that it is closed! So, we went for a walk around the wall that boundaries the coast, because at the end of it was going to be an aquarium (I think, again, not game to Google it), but it was closed for renovations! Sheez… we decided to wander back to the town centre, via the stone wall, to indulge in a wine. Now I live in a rural town where everything closes early- but this is France, right? Wrong! No sooner had we sat down and paid our money that we were being ‘encouraged’ to leave…. oh so frustrated, we skulled (an Aussie word for necking it…. hhmmm, another Aussie word for drinking it really fast all in one go) and caught the bus home. 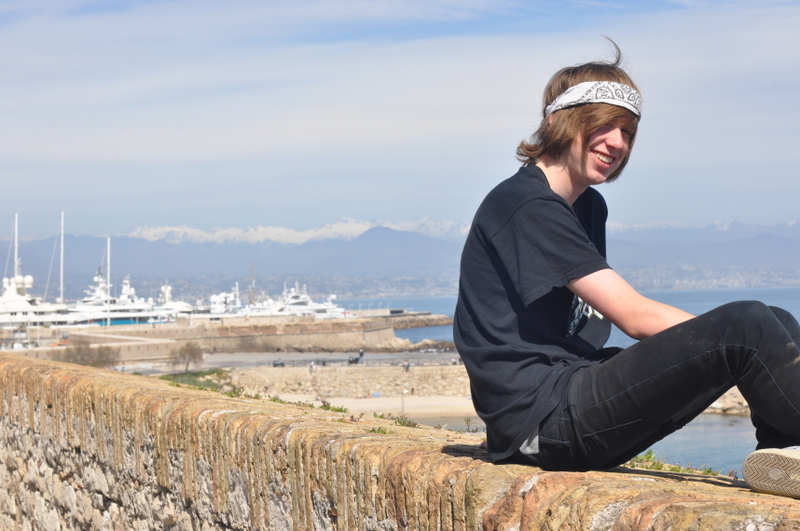 My son sitting on the stone wall lining the beach front at Antibes – because everything had gone wrong whenever we visited the place I was petrified he would fall and be a mangled mess on the other side!! We thought we would give a viewing of the church a second chance – it is on the tourist ‘to do’ list afterall with no time restrictions… Hmmmm…. NO, sorry, closed for choir rehearsals – Easter was looming. UUmmm…. since when are churches ‘closed’ during choir rehearsals, or anything for that matter? What if I was a devout catholic in need of God time? I was raised catholic, so know about this sort of stuff….. But do not fear…. We had been clever and tied this trip into the Saturday morning produce market… where – surprise, surprise – we got massively ripped off by an opportunistic pate vendor! We were, to him, an easy (ignorant, he thought) target. So after tempting us with tasting yummy dips, and us politely not asking how much, (because we had not yet been ‘ripped off’ in France) he charged us exorbitantly. So we ended up being polite targets (rather than ignorant targets), because we knew what he was charging us but didn’t say anything – though of course I wish we did! Being persistent, however, we did have an afternoon plan: visiting the local castle – every town in France has one of those! Fort Carre is so called because it is shaped like a star and has five points – so ‘carre’, I think, is star (I can’t remember if that is the translation, so, again, you will have to look it up). Walking to the castle was quite a journey, and upon arriving we discovered we had approached it from the wrong side, and couldn’t for the life of us find the entrance. So, we did what most desperate insane people would do, and jumped the fence – I had a skirt on and was not very happy! Once inside we found our way to the ‘office’ where were hoping to book into a tour. BUT, and by now we were used to ‘buts’, tours were only offered in Chinese and French!! This was not on the tourist brochure!! Third Attempt (and perhaps the worse). So, third time lucky, we thought… in actual fact it was third time the most unluckiest!! Again, the church was closed – I can’t even remember why now, the trauma has pushed it from my mind! 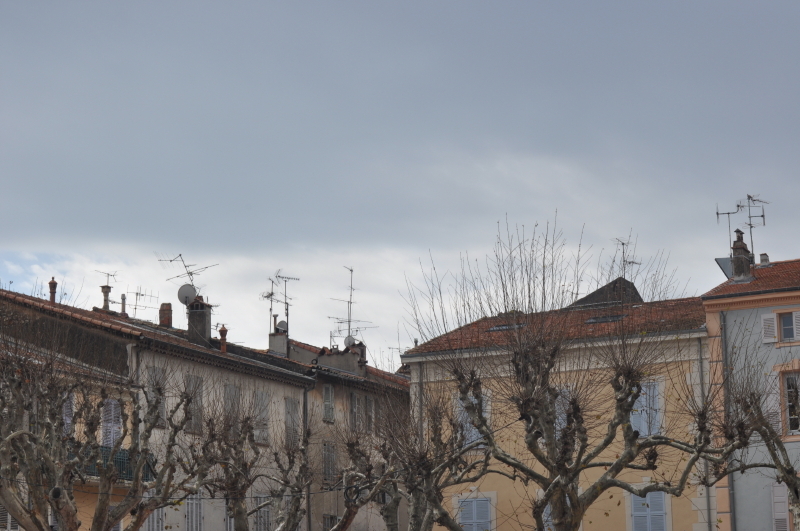 Our plan for the afternoon (after visiting the church) had been to catch the bus to Eden Rock, a town on the outskirts of Antibes, where there was (apparently) a Napoleon museum… couldn’t find it for the life of us…. so we just soaked up the ambience. Once ambienced out we decided to walk a little further into the town for a coffee or wine. It was a pleasant walk, the weather was nice, the scenery was lovely, but after a forty five minute walk we were a bit thirsty. What did we discover about Eden Rock – lots of hotels with fancy smanshy bars and restaurants – no average bars, coffee shops or pubs to just sit and relax. And so the unsated trek back to the bus stop. Upon arrival we were in time to catch 6pm bus, luckily because that was the last bus. Guess what? 6pm came and went, and we waited and waited. After about forty five minutes a couple of locals walk past and asked why we were at the bus stop. Uumm, our answer, waiting for the bus. Their reply, but the last bus was over an hour ago. our reply, but the last bus was 6pm. Their reply, yes which was almost two hours ago. The conversation was becoming very confusing. Our reply, what time is it? Their reply, almost 8pm. Anyway…. after much ‘he said’ ‘she said’ we figured out that it was day light savings the night before and the clocks had been put forward (or back, I can’t remember, and I am too angst ridden to figure out) so we had actually missed the bus. Arrgghhh!! 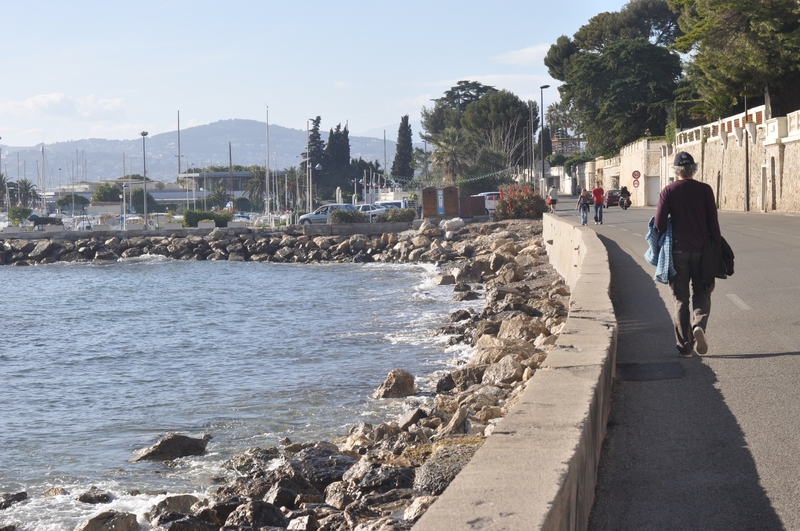 there was no other solution than to walk back to Antibes. I am not sure of the kilometeres involved, but it took us about 1.5 hours of fast walking. Why fast walking? because we had to get back to Antibes in time to catch the last bus back to Vallauris. As well as power walking we also attempted hitch hiking – but apparently that is a bit frowned upon in France. So we had no chance of being picked up. Did we make it back in time to catch the bus? Of course not! After walking our hearts out we missed the bus by FIVE minutes! OK, don’t panic, catch a taxi. Where are the taxi ranks? 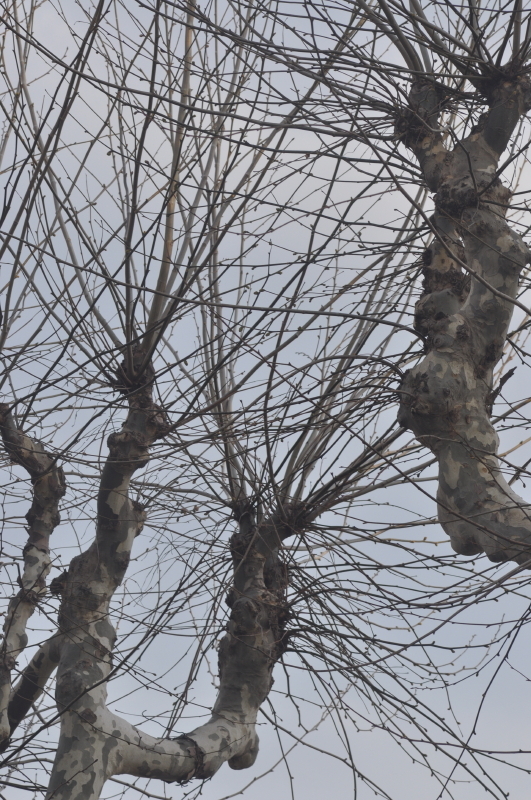 Near the station, in the town centre…. uummm, no! Actually nowhere! Finally, after much scrounging around in shops and telephone booths we find a taxi phone number, and successfully manage to order a taxi despite the language barriers. The taxi does deliver us safely home, but we are a little suspicious that we have been overcharged – again ignorant tourists. But, we are too tired to care! 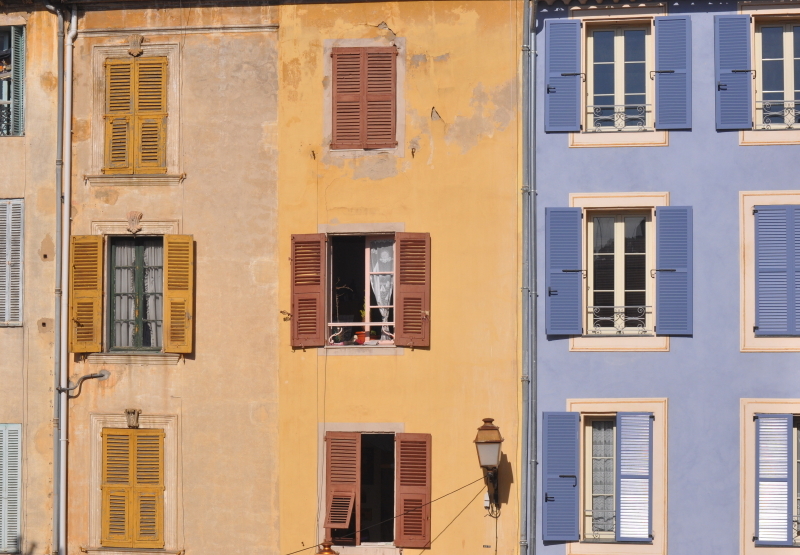 I would love to visit you again Antibes, but fear I cannot! 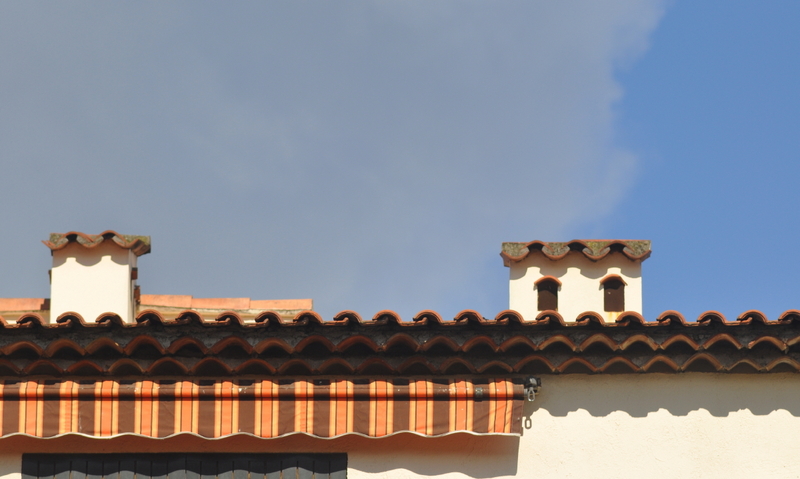 This weeks photo challenge is about geometry, and the example given was architectural – strong bold lines against a clear wispy cloud sky, a great image. For me, however, there is much more to geometry than bold lines. Bold lines tend to me human made structures, so that things ‘fit’ together better. 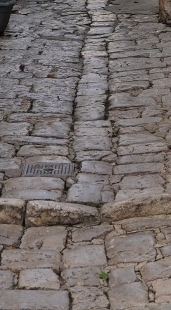 Nature, however, develops curves and crevices as a means to make a better fit, and get the most out of every surface. Often the geometry in nature are fractals, ever repeating patterns in natural objects. So my post this week is going to feature both types of geometry – all of the images I took while on a residency in Vallauris, France in 2010. 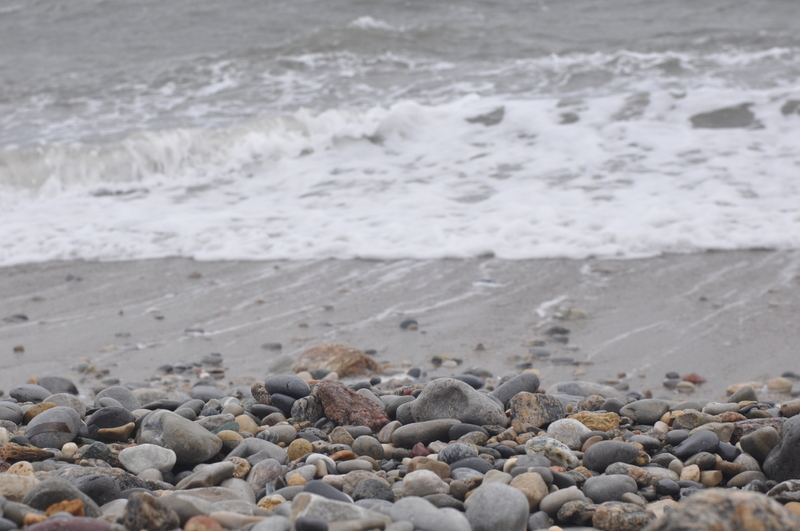 Beach Geometry: Stones and the ever repeating flow of waves – both examples of natural geometry.